Two weeks away from Washington D.C.
UNITED STATES – July 28, 2015 – For the past two months, dozens of college students have been walking across America with a group called Crossroads on 3 simultaneous cross-country pro-life walks. After spending their summer on foot, these young people are scheduled to arrive in Washington, DC on August 15th for a rally at the U.S. Capitol Building. Split in 3 teams, the young volunteers (ages 18-26) started walking from Seattle, San Francisco and Los Angeles on May 23rd. 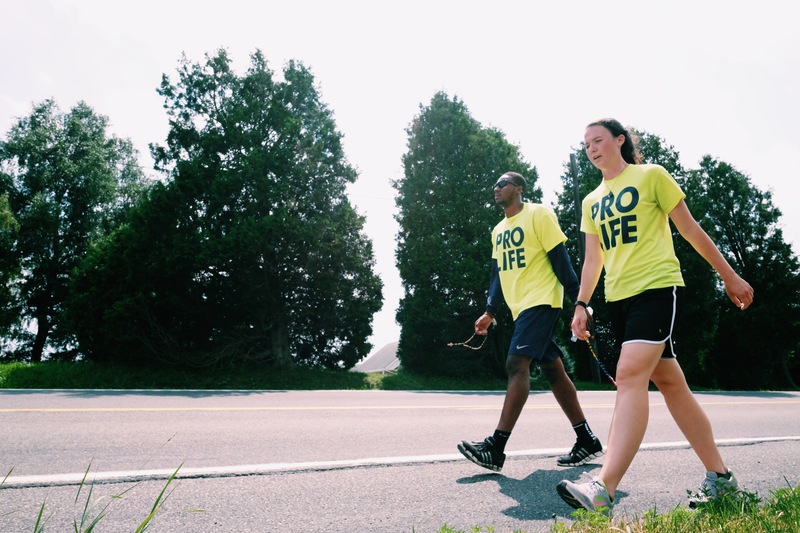 By the end of the summer, they will have walked over 9,000 miles through 36 states for a specific cause: to build a Culture of Life and help change the hearts and minds of others they meet along the way. This summer marks the 21st year in-a-row Crossroads has sponsored these walks. During the week, the young volunteers walk up to 60 miles per day as a group. On the weekends, they witness at abortion clinics and speak at local churches in the towns they are passing through. This upcoming weekend, August 1-2, the groups will be in New York City, NY, Columbus, OH, and Atlanta, GA.
Crossroads will host a Pro-Life Rally at the U.S. Capitol in Washington D.C. on August 15. Please visit www.crossroadswalk.org for more information.